Selamat datang di Ahzaa Media, Pada Smart English kali ini, kami akan membahas mengenai bentuk "Prepositions in Combinations" atau kombinasi preposition. Preposisi digunakan sebagai penghubung object dengan kata yang lain dalam sebuah kalimat. Dan tentang apa saja aturan mengenai bentuk kombinasi preposisi, berikut pembahasannya. arrive at atau in === Mr. Ardy arrived in Jakarta last night. consent to === He consented to his examination. comment on === My teacher commented on our project. consist of === Water consists of hydrogen and oxygen. depend of === The result of the test depend on your ability. laugh at === We laughed at the performance of stand up comedy last night. object to === She object to my driving. succeed in === He succeeded in his business. be accustomed to === She was accustomed to coming late everyday. be aware of === We should be aware of the problem. be bored with === The boy is bored with school. be certain of === You cannot be certain of the date. be familiar with === John is familiar with the new methods. be famous for === Bali is famous of its culture. be frightened by === The children are frightened by the horror story. be happy with === She is happy with her new family. be in favor of === He is not in favor of the rules. be interested in === I am interested in continuing study in university. be opposed to === John is opposed to buying a new house. be satisfied with === He is satisfied with his new car. be surprised at === We should not be surprised at his behavior. be tired of === The students is very tired of many activities at school. be worried about === We are worried about the condition of the Sinabung victims. according to === According to the announcement, we should submit our project before Saturday. along with === John, along with his friends, came to the party last night. as well as === I enjoy art as well as history. because of === We won't go hiking because of the bad weather. by means of === She studied abroad by means of scholarship. by way of === Jim went to Paris by way of London. in addition to === In addition to get extra money, she works over time. in case of === Break the window in case of fire. in consideration of === In consideration of your kindness, I would like to treat you. in contrast to === In contrast to last summer, this summer is cool. in deference to === In deference to his age, we did not debate with him. in hopes of === In hopes of getting scholarship, I studied hard. in pursuit of === The police were in pursuit of the thief. in search of === The man explore the jungle in search of treasure. in spite of === In spite of his good intentions, he did not study very much. in terms of === He was a good husband in terms of earning a good living. 1. She is bored ___ living in the country. 2. We are surprised ___ this news. 3. One cannot depend ___ luck to bring success. 4. I am quite satisfied ___ my result in examination. 5. Do you agree ___ my idea? 6. In spite ___ the hard rain, we cancelled the picnic. 7. I am not accustomed ____ giving a speech in a meeting. 8. I am very worried ___ his sick child. 9. Jean approves ___ exercising. 10. I agree ___ you on that idea. 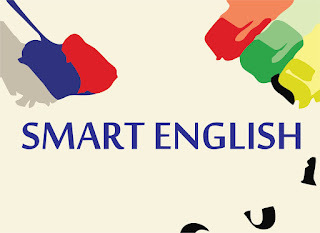 Demikian pembahasan Smart English kali ini tentang cara mengenal bentuk soal preposition combinations dalam bahasa Inggris, semoga bisa memberikan manfaat bagi anda yang sedang mempelajari atau mendalami bahasa Inggris. Kami nantikan kunjungan anda berikutnya dalam pembahasan- pembahasan menarik kami lainnya. Salam.